An inspired problem solver; Brandon Spires uses his excellent research, communication and interpersonal skills in order to leverage technology as a catalyst to a more efficient future. Brandon’s peers often describe him as ambitious, cerebral, diligent, and professional. 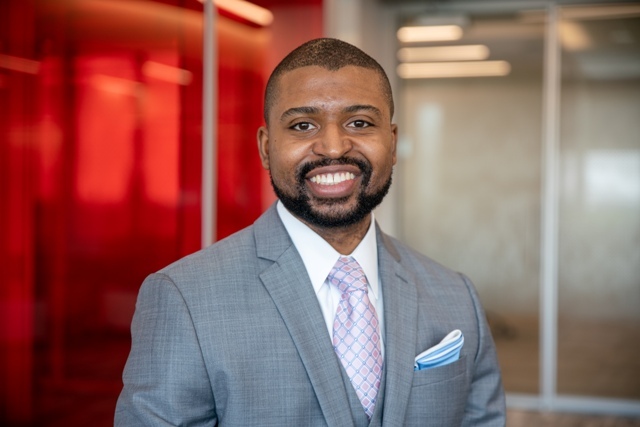 Currently, Brandon serves as an Early Career Program Manager at Rockwell Automation, owner of Allen-Bradley branded industrial automation solutions. In this role, Brandon enables the development and success of early career associates within the Architecture & Software business unit. Also, Brandon champions the recruitment and retention of diverse talent through his leadership role in the Company’s African American Professional Network. At the Katz Graduate School of Business of the University of Pittsburgh, Brandon built upon his bachelor’s degree in computer science as a dual degree MBA/MS-MIS student. In addition, Brandon further developed his research and teamwork skills through multiple freelance consulting engagements, which frequently required him to interact with senior leaders of Pittsburgh-based Fortune 500 companies. Today, Brandon gives back to Katz through an active role on the board of the Pitt Black MBA Network (PBAN). Aside from his career, Brandon maintains an interest in chess, creative writing, and minor visual art projects. Brandon also hones his public speaking, storytelling, and presentation skills as an active member of Toastmasters International. If you would like to learn more about Brandon, then please reach out to him via the means listed on this page. Want to contact B. Spires? If you would like to reach out to B. Spires, then connect with him on LinkedIn.